A.B. Shepherd: Roswell Incident - Alien Crash or Weather Balloon. What do you think? Roswell Incident - Alien Crash or Weather Balloon. What do you think? 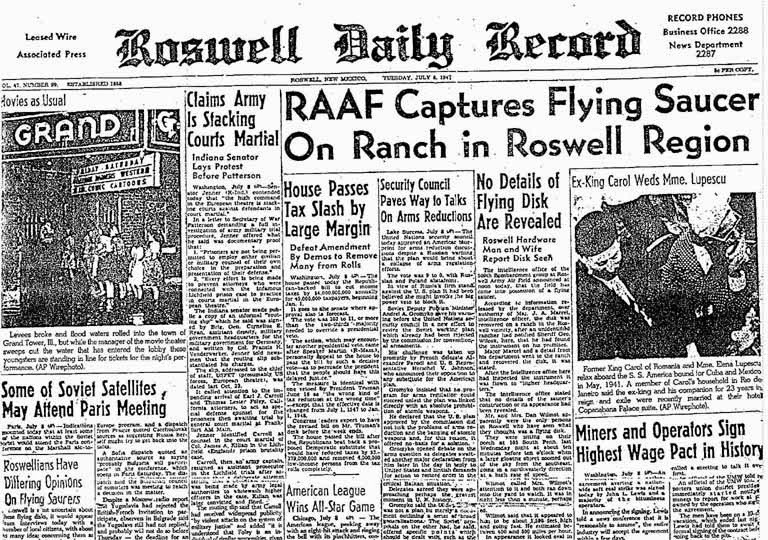 As I'm sure most of you are aware, one of the biggest controversies of all time regarding UFOs is the Roswell Incident which occurred in July 1947 near Roswell, New Mexico in the USA. Initially reported as a crashed UFO with recovered alien bodies, reports were quickly amended to discount the original story with claims that it was merely a crashed weather balloon that was part of a secret military program. The controversy has raged for over 60 years now. Was there really a downed alien space craft the military attempted to reverse engineer? 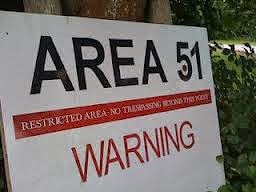 Were there recovered alien bodies - potentially one still alive as some reports claim - that were transported to Area 51 where they were studied/autopsied? Or were the materials recovered merely part of a secret military experiment with spy balloons? Over the years many of the key players involved have fallen on opposite sides of this issue. Some of the military personnel involved at the time later reported there was a UFO cover-up, including Major Jesse Marcel who left a death bed confession and charged his son Jesse Marcel Jr. with sharing his story with the world which he did in his book The Roswell Legacy. Another such person was Colonel Phillip Corso who also wrote a book called The Day After Roswell in which he reveals modern technology that was reverse engineered from materirals found in the Roswell crash. Many other skeptics have tried to debunk the UFO story, including Kal Korff with his book The Roswell UFO Crash: What they don't want you to know. I know what I think happened. What's your opionion? Do you think it was a UFO coverup? Or merely a military balloon program?